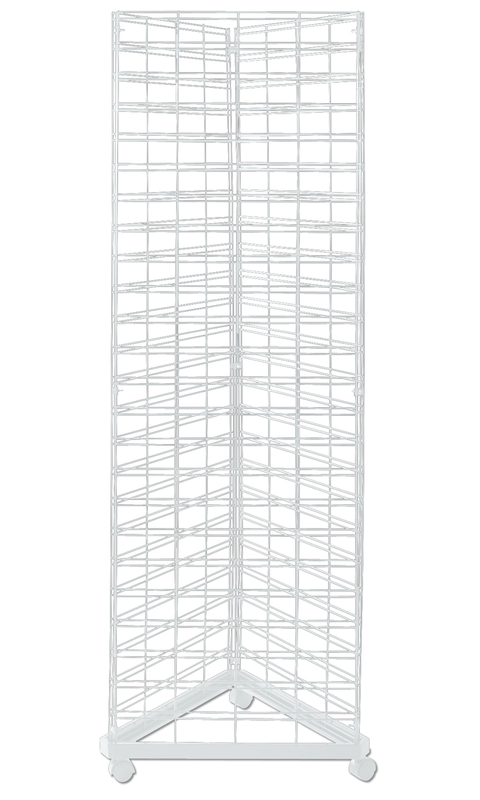 The White Triangle Slat Grid Tower is a smart way to maximize your display potential. Slat grid panels rest on top of a triangle base that turns regular slat grid panels into a portable display that rotates. Display fixtures can be added to enable merchandise to be seen on all three sides. The unit is great for displaying a wide variety of merchandise from books to jewelry. The triangle slat grid tower includes 3-2x6’ grid panels, 9-wire grid connectors and 1-triangle grid base with casters.